I’m very excited to play with Brendan Canty’s new band Messthetics. Brendan and Joe are a phenomenal rhythm section, formally of Fugazi, teamed with guitarist Anthony Pirog to form this excellent instrumental unit. Terminal Lovers will be playing a rare Cleveland show, and will be featuring new material from their forthcoming release. 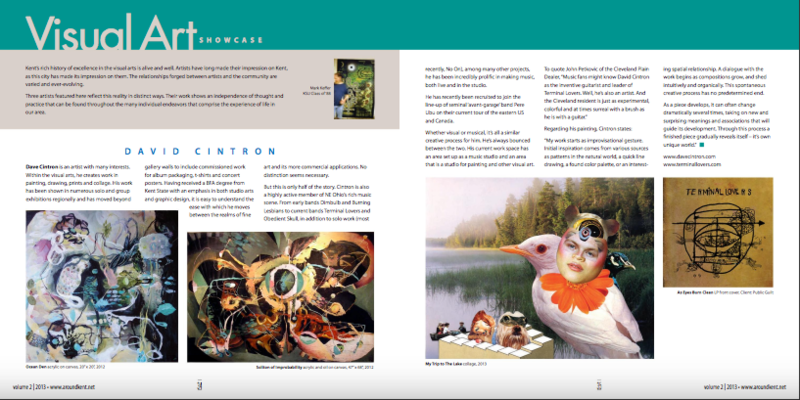 Around Kent Magazine Vol.2, 2013 featured an article about my work.